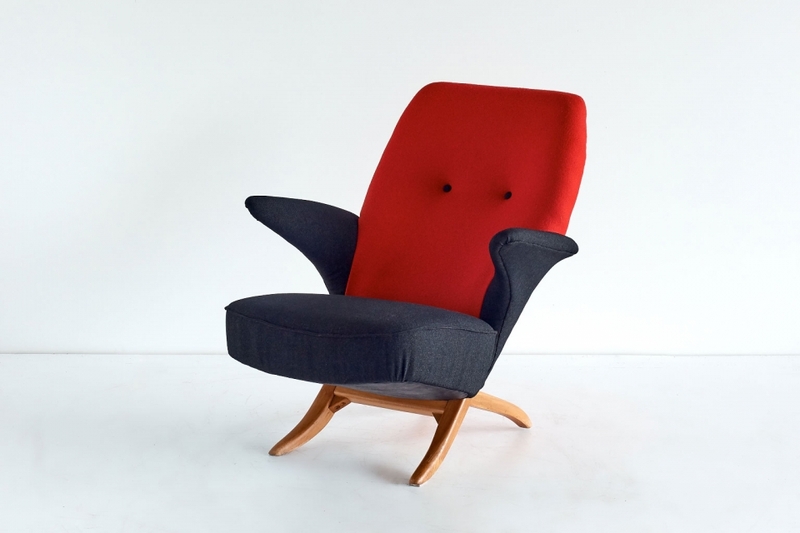 The iconic Penguin chair was designed by Theo Ruth and produced by Artifort in 1957. It is the successor of the Congo chair. The ingenious design consists of two interlocking pieces which can be separated. The chair is upholstered in a black and red wool fabric. A striking example of Dutch mid century modern design. Bibliography: Artifort by Jamin, Schwenke, Weijnen. 010 Publishers, Rotterdam, 1980. Page 49. Decorative Art 1950s. Charlotte and Peter Fiell. Taschen. Cologne, 2013, page 195.